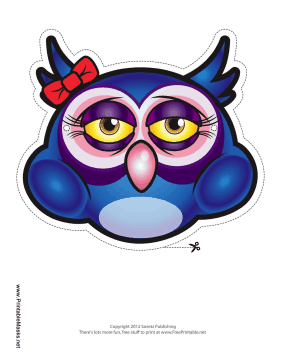 This blue owl mask has a pink beak, purple eyes, and a red bow. This mask is great for a feminine owl costume. This mask is free to download and print.